The Rosemount 2120 range of vibrating fork point liquid level switches from Emerson Process Management is now certified for SIL 2 functional safety with SIL 3 capability, expanding its application scope, and improving plant safety. The new approvals allow the device to meet demanding safety application requirements. 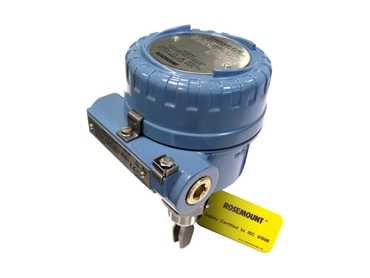 Rosemount 2120 vibrating fork switches are user-friendly and reliable, making the range a popular choice for high and low level alarm and pump control duties in a wide range of process and marine applications. Rosemount 2120 vibrating fork point liquid level switches are now approved for marine applications by the American Bureau of Shipping (ABS) with Emerson also adding an expanded choice of process connections for greater installation flexibility. For safety critical applications, SIL 2 certification is now available for the 2120 with NAMUR and 8/16mA electronic outputs. Five plug-in electronic outputs provide a choice of switching functions. The SIL 2 certification extends the time between proof tests, allowing users to avoid extra shutdowns for safety testing. In addition to the new 2" NPT process connection, the switch is now available with Mobrey A and G flanges enabling compatibility with mechanical float switch process connections. Expanding on the existing Germanischer (GL) approval, the ABS approval allows the use of the 2120 in marine applications such as oil and ballast control and HFO blending.